Swansea Bid is behind the Golden Ticket competition, via its Big Heart of Swansea brand, which is offering a massive £500 worth of prizes for one lucky winner. Tickets are available in up to 100 Swansea City Centre shops and outlets – from big retailers like Ann Summers, New Look, Top Shop, Marks & Spencer and Top Man, to much loved small businesses like Madame Foner, Lee Mill Fabrics, Boosh Salon and NV-Us. 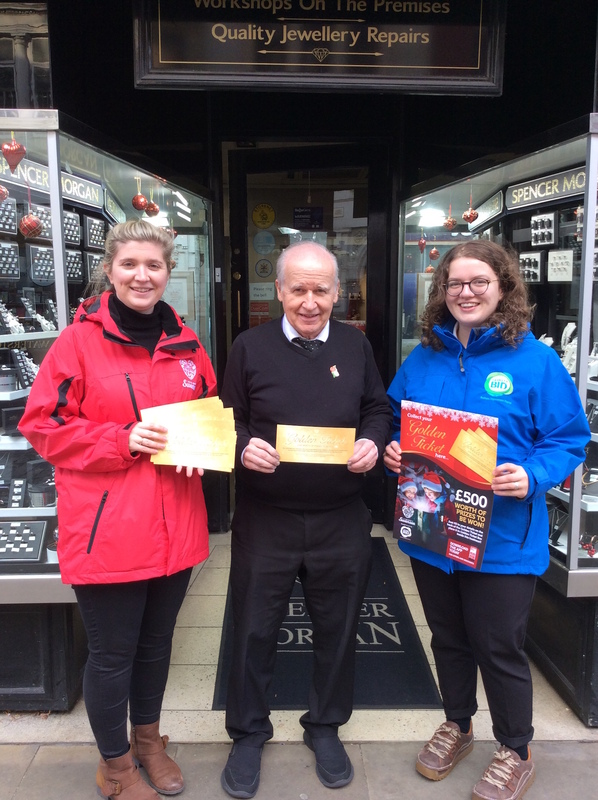 To be in with a chance of winning, visitors to the City Centre simply have to make a purchase at one of the participating City Centre business and fill in their details on the back of one of the Golden Tickets to be found in store before the closing date of December 20. Amelia Rudman, Projects Manager with Swansea BID, said: “We are very pleased to bring the Golden Ticket competition back to Swansea City Centre this year. As you can imagine, it is one of our most popular events of the year, since the prize is such an attractive one. More importantly though, The competition is a great way of reminding shoppers how lucky we are to have so many unique business offering great service, quality goods and a lovely shopping experience, here in the heart of Swansea City Centre.